Are We Heading Toward Stagflation? As major central banks turn off the Electric Kool-Aid drip of easy money, we will soon find out whether the promise of growth is real in a world with equally real—i.e. not zero—interest rates. This question of how fast the U.S. economy can grow without near-zero short-term rates is really the first consideration when assessing macro market risk. If you believe the current leaning of the Federal Open Market Committee, we are almost assured to see the convergence of GDP growth rates and Fed funds, with some more rate hikes this year and next. Wall Street also predicts lower growth and higher inflation (stagflation) but with little upward pressure on interest rates. The Mortgage Bankers Association, for example, has projected real GDP change slowly trending below 2 percent by 2020, whereas inflation was already at 2.4 percent year over year in April. Global growth is not particularly strong, and one contributing factor is the slow attrition of investment banks and brokers over the past decade. UBS, HSBC, BNP, Merrill Lynch, Morgan Stanley, and other second-tier transactional players fled to the safety of wealth management after the 2008 crisis, but folks like Deutsche Bank pretended that 2008 did not happen. 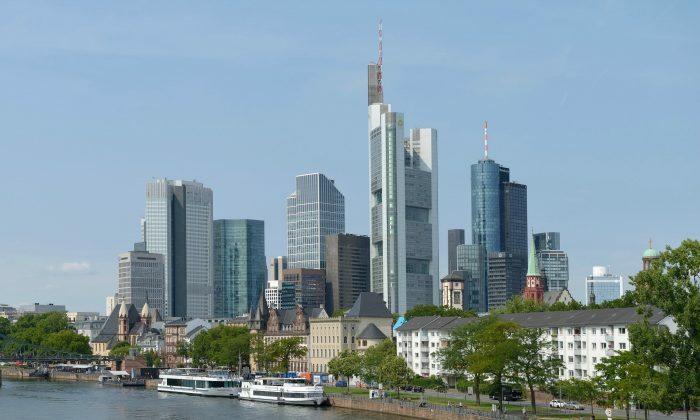 This lack of response by management eventually crippled Deutsche financially and led to the current situation, in which one of the biggest banks in Europe may require state aid. Ironically, the easy money policies by central banks meant to prop up the banking sector were counterproductive for profitability. Years of quantitative easing in Europe have decimated Deutsche Bank and other European universal banks. Just as in the United States, the European Central Bank (ECB) bond purchases have suppressed bank earnings and loan pricing, and basically killed secondary market trading, first by reducing the banks’ interest rate profit margin and second by sucking assets out of the market. Of course, if the financial sector is hampered, the potential for future growth is moot. Each day we hear further doubts raised about the prospects of synchronized global growth, if for no other reason than the level of indebtedness globally is growing faster than the underlying economy. Global debt is now at $164 trillion, or 225 percent of global GDP, the International Monetary Fund warns. The world is now 12 percent of GDP deeper in debt than it was at a peak debt cycle during the financial crisis in 2009. David Rosenberg from Gluskin Sheff & Associates in Toronto likes to remind us that the growth of the past five years—both in terms of stock prices and GDP—has come to us courtesy of the Fed, the ECB, and Bank of Japan (BOJ). Why this fact is not obvious to more people working in the equity markets is a source of wonderment to us. Our collective inner neo-Keynesian cheers for the impact of low rates on debtors, but forgets that banks and pensions and even individuals are savers on the other side of that trade and are now starved for income and returns. It is pretty clear that the much-anticipated surge in cash from tax cuts has not caused an upward surge in corporate investment. Wall Street has been trimming GDP estimates since January, which in turn affects their earnings models. And the economic prognostication chorus has certainly turned bearish in the last few weeks. So here’s the big question we face: Has the FOMC effectively capped financial asset returns for the foreseeable future? That is, do all savers face years ahead in which yields on securities are better than, say, the lows of 2012 to 2015, but not much higher than today? And do banks now face competition from the bond market even as pricing for loans and securities show little real upward pressure? Our best guess is that the attempt by the Fed, ECB, and BOJ to stoke some serious inflation by stealing qualifying assets from the markets via quantitative easing has had the reverse impact—namely, constrained asset returns and income from global investments. If GDP slows as the FOMC continues to force short-term rates higher and the financial sector remains subdued, market sentiment toward the weaker financials such as DB could become very dicey indeed. And inflation only needs to stay at its current level of 2 to 3 percent for it to be higher than growth—the classic definition of stagflation. Christopher Whalen is the chairman of Whalen Global Advisors and the author of “Ford Men.” This article was first published by the Institutional Risk Analyst.